There are currently 25,094 users on this website. 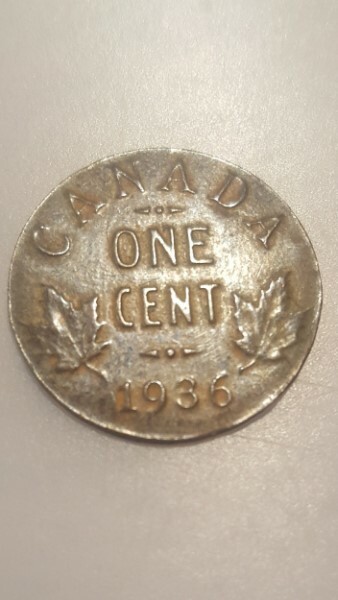 1936 Canada One Cent - Error Coin? 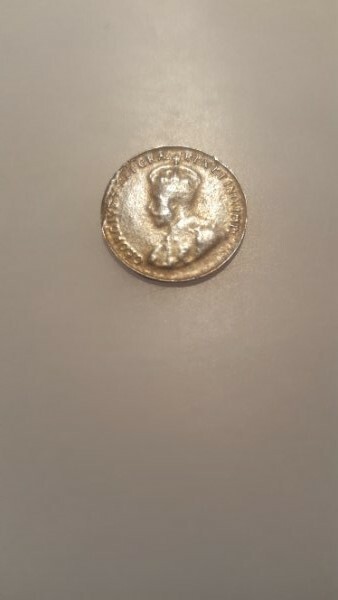 I am new to coin collections and recently inherited a coin collection. I found a 1936 Canadian Penny (no dot) however,I believe it may be an error coin? It is rather thin in its width and has no outer ridge around the circumference of the penny. Its also somewhat concaved outward to the head side of the coin. The head side is also blurred, while the other side is quite detailed. Any advice comments are appreciated. Looks like an acid-dipped coin...mushy king, smaller diameter, etc. So no, unfortunately not an error. Thanks johnnysprawl...i wasn't aware of acid dipped coins. Based on the pictures of acid dipped coins I note that both sides of the coin become blurred, and the outter edges become rounded...my coin only has one side blurred and the outter edge of my coin still has sharper less rounded edges...it is also concaved and I suspect quite light in weight (still need to weigh it). it was my fathers coin, he likely had this coin in a box (along with many other very interesting coins) since the 1940's (after his WW2 service) ...having said that, was acid dipping coins predominant in the 1940's or early. My father did have a keen eye for oddities, so I see why he may have kept this coin in his collection. 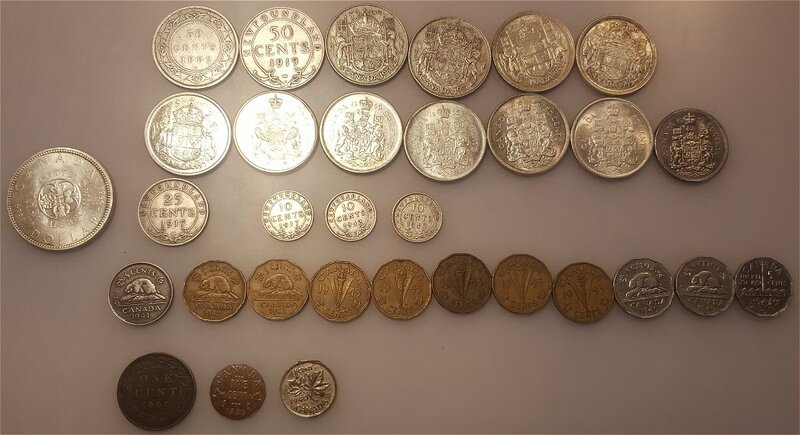 Nice to see some Newfoundland coins in that small collection. Oh yeah, and to CCF! Check other posts on this site about acid-dipped coins. It's always a detective case. I have the exact kind of coin as yours. I had trouble figuring out why one side is less eroded, and how the rim eroded faster than the rest of the details. If you place a coin in a flat bottom container and cover with acid, you'll see more bubbles coming from the top than from underneath. It's still working underneath but the acid under doesn't escape and bring in new acid as well as the top side. There will also be more bubbles coming from the rim than the rest, due to the lower pressure used making the rim, compared to the striking pressure. The more the metal is compressed, the slower it will erode. Thanks Terry, I appreciate your info/advice.